The latest book in the life-changing 'Power of Praying' series, this new addition gives you the tools and prayers to say no to anxiety. Want a way to fight back from fear? Fear can swallow up everything, and finding a way out from fear can seem impossible. It clouds over your day, and nothing works. This is a problem more and more people face each day as stress, anxiety, worry, and fear drain the lives of millions. But that doesn’t mean there is no escape. What if, instead of trying to wait fear out, you pray through it instead? 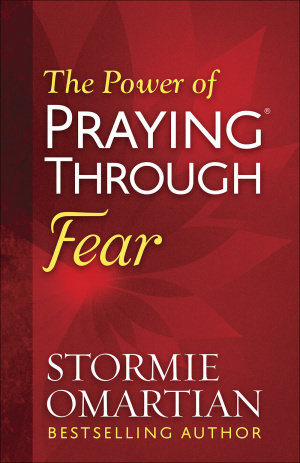 Following on from her bestselling Power of Praying series that has help countless people grow and flourish in faith, Stormie Omartian take center aim at fear, and how it can, and must, be prayer through. There seems to be no shortage of different fears in the world, with just as many ways for it to creep into your life, but there are more ways to pray against it. Asking questions about what we fear, why we fear, and what the Bible says about fear, this book is a source of inspiration for the fearful. A beam of light in the darkest days. The Power of Praying Through Fear doesn’t only give you reasons not be afraid. It is filled with responses to fear that will help you fight it. From praying ceaselessly, to doing good for God, to asking for help from others - The Power of Praying Through Fear is a well-stocked tool-belt of ideas for fighting fear. So whether you, or someone you know, is trapped by anxiety and fear, The Power of Praying Through Fear is there to offer a way out, a way to pray when there is nothing else you can do. 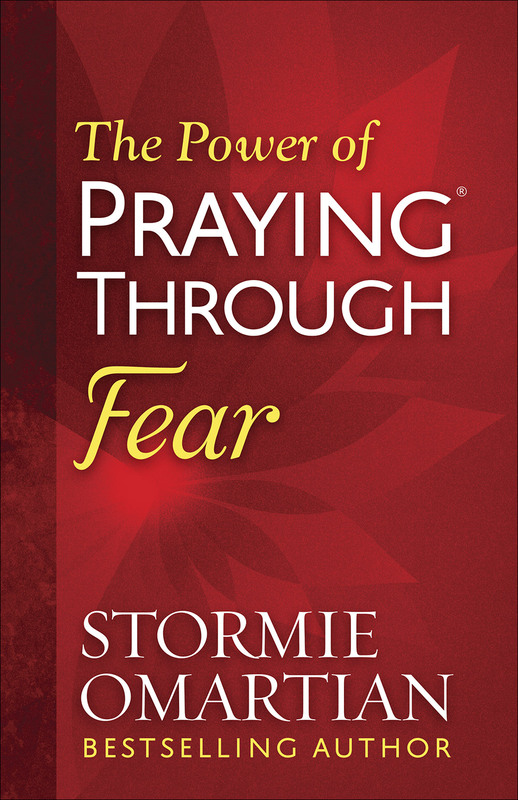 The Power of Praying Through Fear by Stormie O Martian was published by Harvest House Publishers in November 2017 and is our 3192nd best seller. The ISBN for The Power of Praying Through Fear is 9780736965958. Be the first to review The Power of Praying Through Fear! Got a question? No problem! Just click here to ask us about The Power of Praying Through Fear. Is Fear Affecting Your Life? Does it Ever Steal Your Peace and Disturb Your Sleep? In today's world, fear has become epidemic. It takes away our sense of well-being; stresses our mind, body, and soul; and can keep us from doing what we need to do. The good news is that you can enjoy freedom from damaging fear by establishing your heart and mind on the comforting truths of God and learning how to pray in power. As you rely on the Lord's strength to conquer fear, you will discover the distinction between damaging fear God does not want us to have, the fear God allows us to have, and the fear God wants us to have. Learn to pray and claim the power, love, and sound mind God has for you.